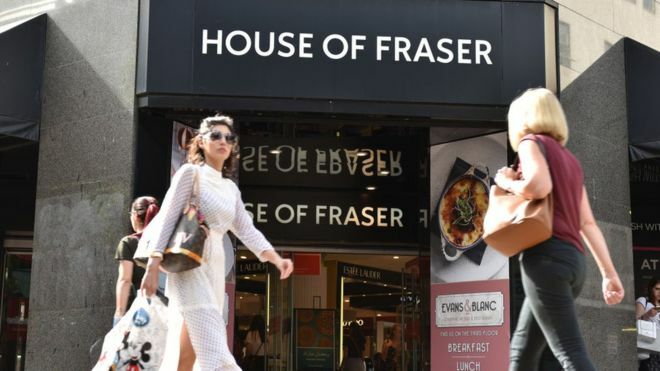 The deal was announced just hours after the 169-year-old chain went into administration when talks with its creditors failed to reach an agreement. Mr Ashley said his plan was to turn the 59-store chain in to the "Harrods of the High Street". It employs 16,000, 5,900 directly and 10,100 in concessions. Administrators said jobs could be "preserved". Sports Direct already held an 11% stake in the department store chain, which had been intending to close 31 shops under a now-abandoned restructuring plan. House of Fraser's administrators, from accountants EY, said the department store chain had been in "a race against time to secure sufficient funding to secure its future" ever since the Chinese firm C.banner pulled out of a rescue deal earlier this month.